Linville is a unique area of Avery County, with features ranging from wildlife to resort style spas. 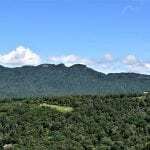 This remote area gives you access to all the amenities while still allowing you your privacy in some of the most gorgeous mountain farm land you have ever seen. Linville is the perfect place for those who value privacy and quiet above all else.